1. Shangjing was the first of five capitals that were established, all of which served concurrently as regional capitals. 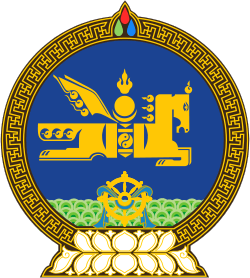 The Liao dynasty (Khitan: Mos Jælud; simplified Chinese: 辽朝; traditional Chinese: 遼朝; pinyin: Liáo cháo), officially the Great Liao (Chinese: 大遼; pinyin: Dà Liáo), also known as the Khitan Empire (Khitan: Mos diau-d kitai huldʒi gur; Chinese: 契丹国; pinyin: Qìdān guó) and the Liao Empire, was an empire in East Asia that ruled from 907 to 1125 over present-day Mongolia and portions of the Russian Far East, northern Korea, and northern China. 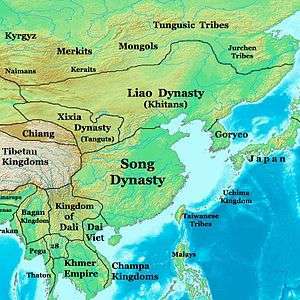 The Liao dynasty was founded by Abaoji, Khagan of the Khitan people around the time of the collapse of Tang China. It was the first state to control all of Manchuria. Almost immediately after its founding, the Liao dynasty began a process of territorial expansion, with Abaoji leading a successful conquest of Balhae. Later emperors would gain the Sixteen Prefectures by fueling a proxy war that led to the collapse of the Later Tang (923–936) and would establish tributary relationships with Goryeo and Song China after failing to conquer Goryeo. The Liao dynasty was destroyed by the Jurchen people of the Jin dynasty in 1125 with the capture of Emperor Tianzuo of Liao. However, the remnant Khitan, led by Yelü Dashi, established the Qara Khitai (Western Liao dynasty), which ruled over parts of Central Asia for almost a century before being conquered by the Mongols. 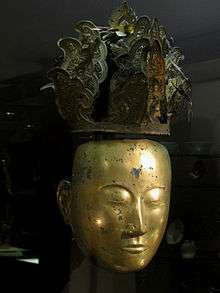 Although cultural achievements associated with the Liao dynasty are considerable, and a number of various statuary and other artifacts exist in museums and other collections, major questions remain over the exact nature and extent of the influence of the Liao Khitan culture upon subsequent developments, such as the musical and theatrical arts. 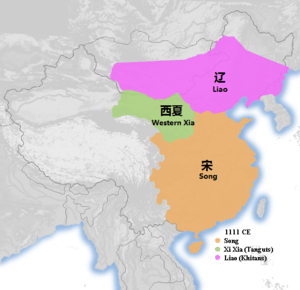 The Liao dynasty was officially known as the Khitan or Khitan state in 916. 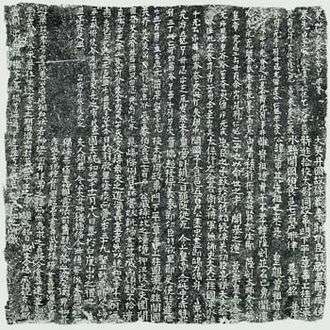 The name "Great Liao" began to appear as the country name between 936 and 947. The dynasty name "Liao" means "iron", but it also refers to the Liao River in southern Manchuria, the traditional Khitan homeland. Since 983 the state became again known as the Khitan, but "Great Liao" reappeared as the country name in 1066, which lasted until the end of the dynasty. According to sinologists Denis C. Twitchett and Klaus-Peter Tietze, it is generally held that the Khitans emerged from the Yuwen branch of the Xianbei people. 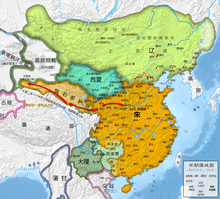 Following a defeat at the hands of another branch of the Xianbei in 345, the Yuwen split into three tribes, one of which was called the Kumo Xi. In 388 the Kumo Xi itself split, with one group remaining under the name Kumo Xi and the other group becoming the Khitans. This view is partially backed up by the Book of Wei, which describes the Khitans as being of Xianbei origins. There are also several competing theories on the origin of the Khitans. Beginning in the Song dynasty, some Chinese scholars suggested that the Khitans might have descended from the Xiongnu people. While modern historians have rejected the idea that the Khitan were solely Xiongnu in origin, there is some support for the claim that they are of mixed Xianbei and Xiongnu origin. Beginning with Rashid-al-Din Hamadani in the fourteenth century, several Western scholars have theorized that the Khitans were Mongolic in origin, and in the late 19th century Western scholars made the claim that the Khitans were Tungusic in origin—modern linguistic analysis has discredited this claim. 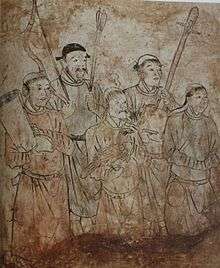 Khitan man in tomb painting in Aohan Banner, Inner Mongolia. These are the ancient eight tribes: the Xiwandan tribe, the Hedahe tribe, the Fufuyu tribe, the Yuling tribe, the Nilin tribe, the Pixie tribe, the Li (Black) tribe, the Tuliuyu tribe...Soon after increasing in population they invaded the Northern Qi (北齐 - Běi Qí) but lost a hundred thousand people to captivity. Then, being pressed by the Turks (突厥 - Tūjué), they temporarily resided in Korea (高麗 - Gāolí) numbering not much more than ten thousand families. The tribes became scattered and were no longer the eight tribes of old. Following the An Lushan Rebellion, the Khitans became vassals of the Uighurs, while simultaneously paying tributes to the Tang, a situation that lasted from 755 until the fall of the Uighurs in 840. From 840 until the rise of Aboji, the Khitans remained a tributary of the Tang dynasty. 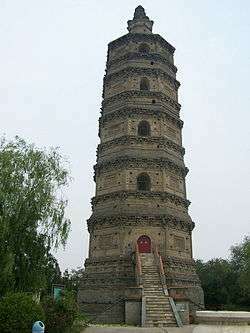 The Pagoda of Tianning Temple (Beijing), built around 1120 during the Liao dynasty. 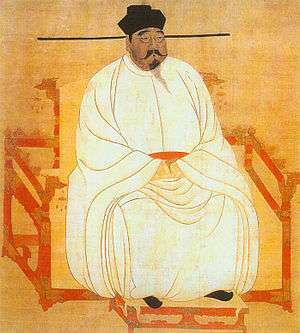 The reign of Emperor Shengzong from 982 to 1031 represented the height of the Liao dynasty's power. 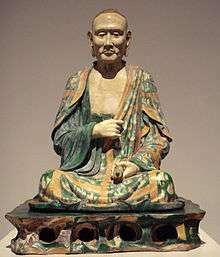 Shengzong oversaw a successful military campaign against the Chinese Song dynasty which secured a long-term peace agreement with terms favorable to the Liao. He also oversaw a failed military campaign against the Korean Goryeo Dynasty. In 990 Liao emperor recognizes a "king of Xia". China in year 1111. Clockwise from top: Liao dynasty, Song dynasty, Western Xia dynasty. Over the next two decades, the relationship between the Liao and Song continued to deteriorate. The Liao were continuously informed of Song attempts to create military alliances with other groups sharing a border with the Liao, and minor border skirmishes were common. 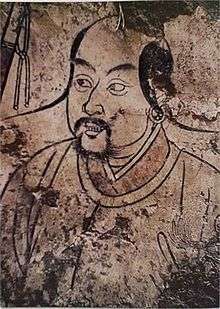 Beginning in 999 Emperor Shengzong of Liao led a series of campaigns against the Song that, while generally successful on the battlefield, failed to secure anything of value from the Song. This changed in 1004 when Emperor Shengzong led a campaign that rapidly worked its way to right outside of the Song capital of Kaifeng by only conquering cities that quickly folded to the Liao army, while avoiding protracted sieges of the cities that resisted heavily. Emperor Zhenzong of Song marched out and met the Liao at Chanyuan, a small city on the Yellow River. In January 1005 the two dynasties signed the Chanyuan Treaty, which stipulated that the Song would give the Liao 200,000 bolts of silk and 100,000 ounces of silver each year, that the two emperors would address each other as equals, that they would finalize the location of their disputed border, and that the two dynasties would resume cordial relations. While the sums (referred to as gifts by the Song and as tributes by the Liao) were later increased to 300,000 bolts of silk and 200,000 ounces of silver per year out of Song fears that the Liao might form a military alliance with the Western Xia, no major wars were fought between the Liao and Song for over a century following the signing of the treaty. By signing the treaty the Song dynasty functionally ceded its claim over the sixteen prefectures. The 12th century saw the rapid rise of the Jurchen people, which culminated in 1115 with the foundation of the Jin dynasty by the Jurchen warlord Aguda. The Jurchens, led by Aguda, captured the Liao dynasty's supreme capital in 1120 and its central capital in 1122. The Liao emperor Tianzuo fled the southern capital Nanjing (today's Beijing) to the western region, and his uncle Prince Yelü Chun then formed the short-lived Northern Liao in the southern capital, but died soon afterwards. In 1125, the Jurchens captured Emperor Tianzuo and ended the Liao dynasty. In 1124, just before the final conquest of the Liao dynasty, a group of Khitans led by Yelü Dashi fled northwest to the border area and military garrison of Kedun (Zhenzhou), in modern-day northern Mongolia. Yelü Dashi convinced the people there, around 20,000 Liao cavalry and their families, to follow him and attempt to restore the Liao dynasty. 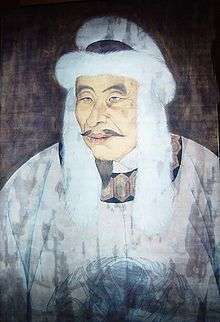 Yelü Dashi proclaimed himself emperor in 1131, after which he moved further west into modern Kazakhstan and then occupied the Karakhanid city of Balasaghun (in modern Kyrgyzstan). After a failed attempt in 1134 to reclaim the territory formerly held by the Liao, Dashi decided instead to stay where he was and establish a permanent Khitan state in Central Asia. The state, known as the Qara Khitai or the Western Liao dynasty, controlled several key trading cities, was multicultural, and showed evidence of religious tolerance. The state survived for nearly a century before being conquered by the Mongol Empire in 1218. An analysis by F. W. Mote concluded that at the time of the Liao dynasty's fall, "the Liao state remained strong, capable of functioning at reasonable levels and possessing greater resources of war than any of its enemies" and that "one cannot find signs of serious economic or fiscal breakdown that might have impoverished or crippled its ability to respond". Mote also concluded that acculturation did not lead to the replacement of traditional Khitan values with Chinese culture, and that the Khitan commoners were "supremely able and willing to fight", which Mote pointed to as evidence that Khitan society remained strong. Mote instead attributes the fall of the Liao to the leadership ability of Aguda and to the actions of the Khitan Yelü and Xiao clans, which used early defeats at the hand of Aguda as a pretext for plotting the overthrow of Emperor Tianzou. Historian Jacques Gernet disagrees with Mote, writing that "by the middle of the eleventh century the Khitan had lost their combative spirit and adopted a defensive attitude to their neighbors, building walls, ramparts for their towns, and fortified posts." Gernet attributes this change to the influence of Buddhism, which abhors violence, as well as to Chinese wealth and culture in general. Like Mote, Gernet attributes the ultimate downfall of the Liao to the interference by the ruling clans, and he additionally credits a series of droughts and floods, as well as attacks by the Jurchen tribes on the north-east edge of Liao territory, with weakening the Liao to a critical level. 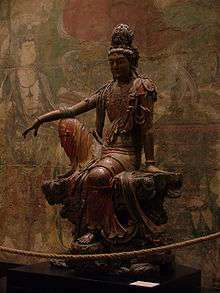 At its height, the Liao dynasty controlled what is now Shanxi, Hebei, Liaoning, Jilin, Heilongjiang, and Inner Mongolia provinces in China, as well as northern portions of the Korean peninsula, portions of the Russian Far East, and much of the country of Mongolia. The peak population is estimated at 750,000 Khitans and two to three million ethnic Chinese. The Liao employed two separate governments operating in parallel with one another: a Northern Administration in charge of Khitan and other nomadic peoples, most of whom lived in the northern side of Liao territory, and a Southern Administration in charge of the Chinese populace that lived predominantly in the southern side. When Abaoji first established the system, these two governments did not have strict territorial boundaries, but Emperor Shizong established formally delineated boundaries for the two administrations early in his reign. The newly delineated Northern Administration had large Chinese, Balhae, and Uighur populations, and was given its own set of parallel northern and southern governments. The Liao dynasty was further divided into five "circuits", each with a capital city. The general idea for this system was taken from the Balhae, although no captured Balhae cities were made into circuit capitals. The five capital cities were Shangjing (上京), meaning Supreme Capital, which is located in modern-day Inner Mongolia; Nanjing (南京), meaning Southern Capital, which is located near modern-day Beijing; Dongjing (东京), meaning Eastern Capital, which is located near modern-day Liaoning; Zhongjing (中京), meaning Central Capital, which is located in modern-day Hebei province near the Laoha river; and Xijing (西京), meaning Western Capital, which is located near modern-day Datong. Each circuit was headed by a powerful viceroy who had the autonomy to tailor policies to meet the needs of the population within his circuit. Circuits were further subdivided into administrations called fu (府), which were metropolitan areas surrounding capital cities, and outside of metropolitan areas were divided into prefectures called zhou (州), which themselves were divided into counties called xian (县). The Khitan spoken language is most closely related to the Mongolic language family; some broader definitions of the Mongolic family include Khitan as a member. More broadly, Khitan is an Altaic language, although scholars are divided on the question whether the Altaic is a true language family or linguistic area in which originally distinct languages have influenced each other over a long period. Khitan shares some terms with the Altaic but non-Mongolic Turkic spoken by the Uighur peoples, who shared the steppes of North Asia with the Khitans for several hundred years. ↑ Miller, Owen (December 15, 2014). Korean History in Maps. Cambridge University Press. p. 72. Retrieved June 6, 2015. "In both 1011 and 1018, Goryeo forces achieved decisive victories over retreating Khitan forces." ↑ Twitchett and Tietze (1994), 44-45. 1 2 3 4 Twitchett and Tietze (1994), 44. ↑ Grousset, Rene. The Empire of the Steppes: A History of Central Asia. Retrieved 13 March 2015. ↑ Skaff, Jonathan Karam. Sui-Tang China and Its Turko-Mongol Neighbors: Culture, Power, and ... Retrieved 13 March 2015. ↑ Twitchett and Tietze (1994), 45-47. ↑ Twitchett and Tietze (1994), 47-48. ↑ Twitchett and Tietze (1994), 48-49. ↑ Twitchett and Tietze (1994), 50-53. ↑ Wittfogel and Feng (1946), 398-399. ↑ Wittfogel and Feng (1946), 398. ↑ Wittfogel and Feng (1946), 400-402. ↑ Mote (1999), 41. and Wittfogel and Feng (1946), 401. ↑ Twitchett and Tietze (1994), 68. and Mote (1999), 49. 1 2 3 Mote (1999), 51. 1 2 Twitchett and Tietze (1994), 68. 1 2 Mote (1999), 52. ↑ Twitchett and Tietze (1994), 68-69. and Mote (1999), 50-51. 1 2 Twitchett and Tietze (1994), 69. 1 2 Twitchett and Tietze (1994), 69-70. ↑ Smith (2006), 377. and Twitchett and Tietze (1994), 69-70. 1 2 Twitchett and Tietze (1994), 72-74. ↑ Twitchett and Tietze (1994), 73. and Mote (1999), 40. ↑ Twitchett and Tietze (1994), 75. and Mote (1999), 52. ↑ Twitchett and Tietze (1994), 76-79. and Mote (1999), 52. ↑ Twitchett and Tietze (1994), 102. ↑ Twitchett and Tietze (1994), 103. ↑ Twitchett and Tietze (1994), 103-104. ↑ Twitchett and Tietze (1994), 111-112. ↑ Mote (1999), 13-14 and 67-68. 1 2 3 Mote (1999), 69. ↑ Twitchett and Tietze (1994), 114. 1 2 Twitchett and Tietze (1994), 114-116. 1 2 Mote (1999), 200. ↑ Twitchett and Tietze (1994), 124-125. ↑ Twitchett and Tietze (1994), 125. 1 2 Twitchett and Tietze (1994), 128-134. ↑ Twitchett and Tietze (1994), 135. ↑ Twitchett and Tietze (1994), 138-139. ↑ Gernet (2008), 354. and Mote (1999), 205-206. 1 2 Gernet (2008), 354. ↑ Twitchett and Tietze (1994), 77. 1 2 Twitchett and Tietze (1994), 78. ↑ Twitchett and Tietze (1994), 77-78. 1 2 Twitchett and Tietze (1994), 79. ↑ Wittfogel and Feng (1946), 44. ↑ Twitchett and Tietze (1994), xxix. and Wittfogel and Feng (1946), 44. ↑ Wittfogel and Feng (1946), 45. ↑ Twitchett and Tietze (1994), 79-80. 1 2 Kane (2009), 2-3. ↑ Franke and Twitchett (1994), 31-36. 1 2 Johnson (2011), 33–34. ↑ Wittfogel and Feng (1946), 199. 1 2 3 4 5 Mote (1999), 76. 1 2 Johnson (2011), 85–87. 1 2 3 Johnson (2011), 99-100. ↑ Johnson (2011), 53 and 84. Biran, Michal (2005). The Empire of the Qara Khitai in Eurasian History: Between China and the Islamic World. Cambridge Studies in Islamic Civilization. Cambridge: Cambridge University Press. ISBN 0521842263. Crump, James Irving (1980). Chinese Theater in the Days of Kublai Khan. Ann Arbor: Center for Chinese Studies, University of Michigan. ISBN 0-89264-093-6. Ebrey, Patricia Buckley (1996). The Cambridge Illustrated History of China (1st pbk. ed.). Cambridge: Cambridge University Press. ISBN 9780521669917. Franke, Herbert; Twitchett, Denis (1994). "Introduction". The Cambridge History of China, Volume 6, Alien Regime and Border States, 907-1368. Cambridge: Cambridge University Press. pp. 1–42. ISBN 0521243319. Gernet, Jacques (2008). A History of Chinese Civilization (2nd ed.). Cambridge: Cambridge University Press. ISBN 9780521497817. Mote, Frederick W. (1999). Imperial China: 900–1800. Cambridge: Harvard University Press. ISBN 0674445155. Smith, Paul Jakov (Dec 2006). "Shuihu zhuan and the Military Subculture of the Northern Song, 960–1127". Harvard Journal of Asiatic Studies. 66 (2): 363–422. JSTOR 25066819. Turchin, Peter; Jonathan M. Adams; Thomas D. Hall (December 2006). "East-West Orientation of Historical Empires and Modern States" (PDF). Journal of World-Systems Research. 12 (2): 219–229. Retrieved 12 August 2010. Twitchett, Denis; Tietze, Klaus-Peter (1994). "The Liao". In Franke, Herbert; Twitchett, Denis. The Cambridge History of China, Volume 6, Alien Regime and Border States, 907-1368. Cambridge: Cambridge University Press. pp. 43–153. ISBN 0521243319.